Southeast tour dates to follow solo Acousti’Lectric West Coast dates. January 13, 2016 Heading into 2016, the newly formed John Kadlecik Band has been continuing to chug along with a full head of steam. It’s true that they only formed in the blink of what was 2015, but the faces are ones of familiarity and unabashed talent. They’ve been progressively stoking the fire since last autumn, skillfully delivering their own brand of psychedelic rock as well as the catalog of the Grateful Dead. Now with the turning of the calendar, Kadlecik is ready to announce a whole new set of dates that will include his band directly after this week’s launch of solo dates. 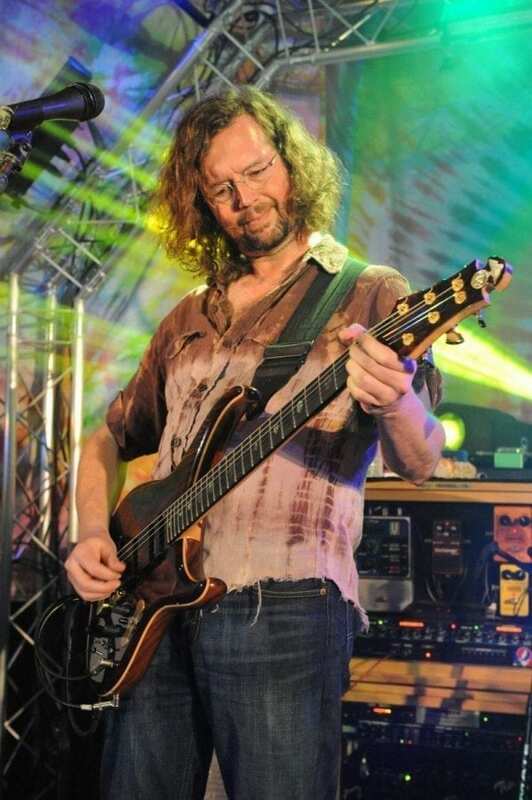 For those familiar with guitarist John Kadlecik, you know that he has been a big part of the music scene for almost twenty years. In 1997 he co-founded one of the most renowned Grateful Dead tribute bands out there, Dark Star Orchestra. He has masterfully displayed his trade onstage with both Furthur and Phil Lesh & Friends. He is also a key member of a jam band with Jeff Chimenti, Jay Lane, and Reed Mathis dubbed the Golden Gate Wingmen. The band he now stands at the helm of may be new, but the members are far from novices. Each has been handpicked to include Klyph Black (bass) from the Zen Tricksters, Waynard Scheller (keys) from Rainbow Full of Sound and Jam Stampede, and Nathan Graham (drums) from the DC Mystery Cats and the John K. Band. They’re a crew that knows exactly what kind of sound they want and what it takes to get there. Kadlecik’s contribution to the jam scene and his legacy as a guitarist in general have already been securely established, but now with his most recent endeavor he’s out to conquer bigger venues and astonish new audiences. Watch for this band to take over a town near you. Following the John Kadlecik solo set will be a set with Jam Stampede, featuring members of Zen Tricksters and John Kadlecik Band. The two have played together before including an amazing show at the Gramercy in New York City in 2012. Video of that show is below. 01/16/2016 Denver CO at Quixote’s True Blue with Melvin Seals and Terrapin Flyer plus Particle.